Oprah loves White Truffle Bliss! Yes, Oprah Winfrey declared POP!’s White Truffle Bliss flavor one of her “favorite things” and we have no doubt it was all because of the packaging! Ok – maybe not but it certainly looked beautiful featured in her magazine. It was probably more about the fact that it tastes amazing and that POP! Gourmet is committed to using only quality, ultra-premium ingredients. 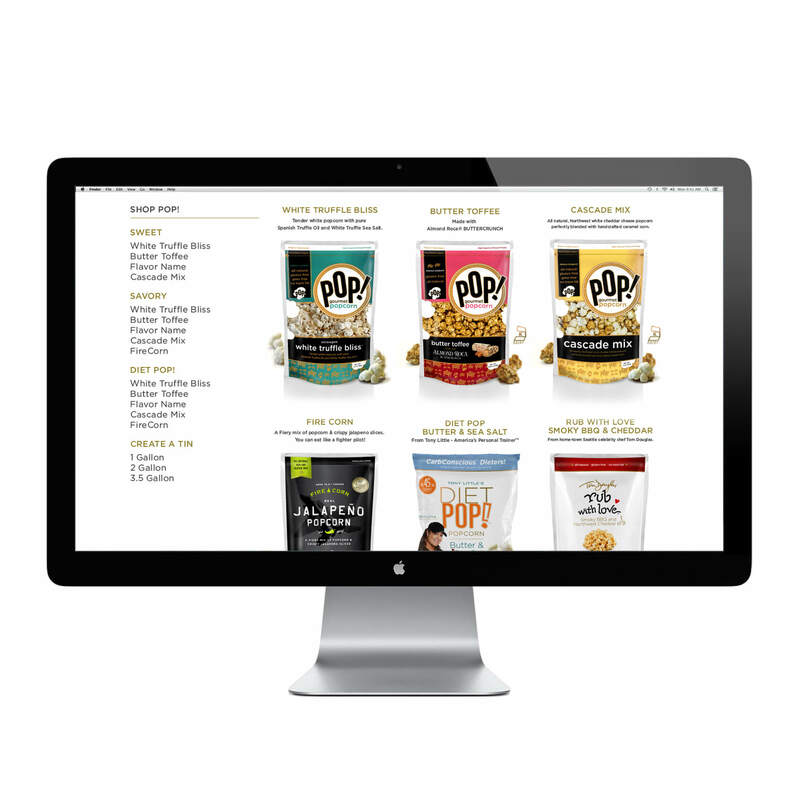 Their products pioneered a new standard in the snack industry and Project 13 helped define them as a premier innovator through new branding and packaging. 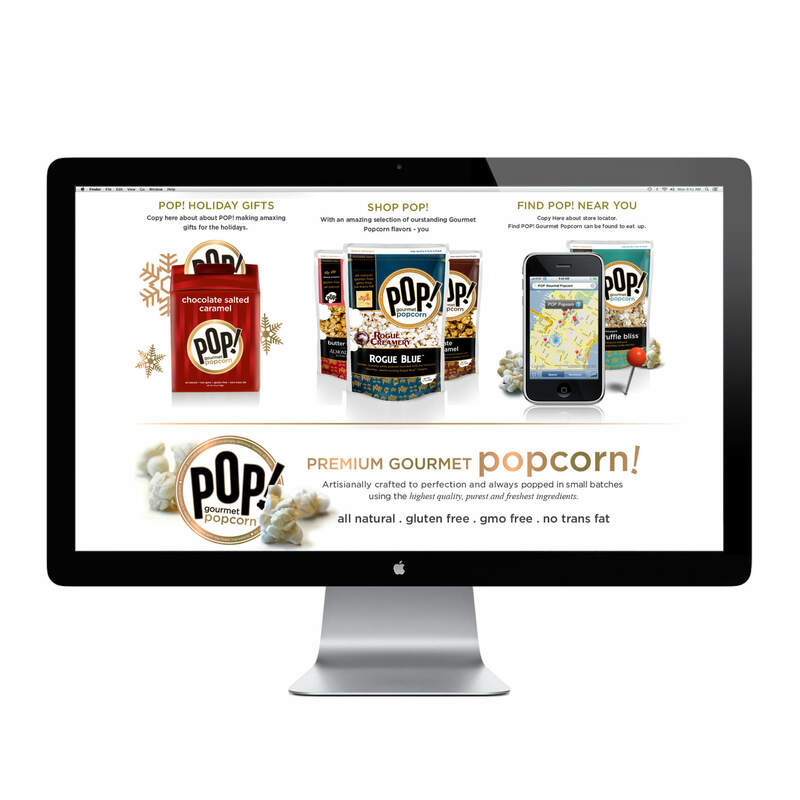 Owner and Founder David Israel approached Project 13 in 2011 to help rebrand and create new packaging for his premium popcorn line. We worked with David and his team to not only elevate the brand but create an extensive packaging system which spanned over 20 flavors across multiple pack sizes that were carried in outlets including Alaska Airlines, Starbucks, Whole Foods, Costco and more. The brand was prominently featured in a Bank of America promotion for the company which has shown substantial growth since the brand’s updated debut. Project 13 also created packaging for a number of co-branded flavors including Tom Douglas’ “rub with love”, POP! Lite and Diet POP!, featuring television fitness personality Tony Little, and the world-famous Sriracha POP! Popcorn. This was one of, if not the first, co-branded or licensed project accepted by Huy Fong and it was our pack design and presentation that helped them get on board with the concept to become a part of the POP! family. 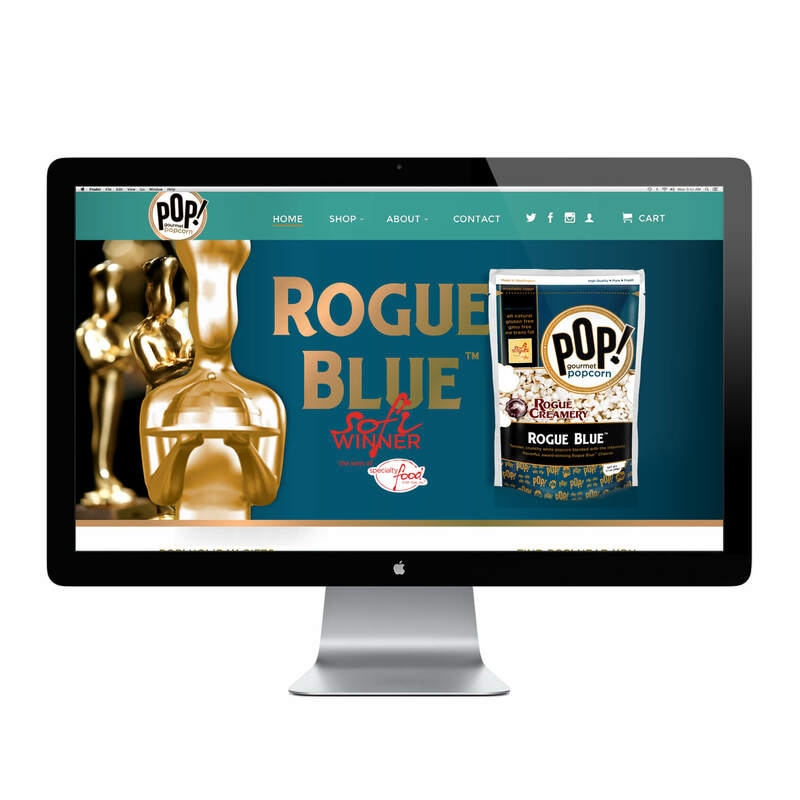 Project 13 also developed POP!’s e-commerce web presence to help spread the word about (and sell) this amazingly flavorful popcorn sensation around the world.